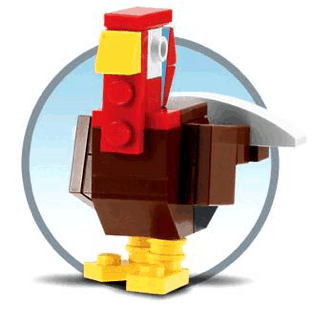 Free Lego Turkey TODAY at Stores!!! Submit your kid’s costume photo and be entered to win $500 shopping spree with Totsy. Free eCookbook – How to Have a Better Thanksgiving Dinner: 13 Healthy Thanksgiving Recipes featuring over 25 pages of tasty and healthy Thanksgiving recipes. Buy 1 Diamond Crystal Sea Salt, Save 40¢. Expires 11/30/2011. One time use only. Buy 1 Diamond Crystal Salt Sense, Save 35¢. Expires 11/30/2011. One time use only. Buy 1 Krazy Glue, Save 50¢. Expires 11/30/2011. One time use only. Buy 1 Elmer’s Tri-Fold Display Board, Save 75¢. Expires 11/30/2011. One time use only. Buy 1 Diamond Crystal Kosher Salt, Save 40¢. Expires 11/30/2011. One time use only. Buy 1 WACKY MAC Veggie Pasta, Save 40¢. Expires 11/30/2011. One time use only. Buy 1 WACKY MAC & Cheese Dinner, Save 40¢. Expires 11/30/2011. One time use only. Buy 1 Truvia® Natural Sweetener (40 ct or larger), Save 75¢. Expires 11/30/2011. One time use only. 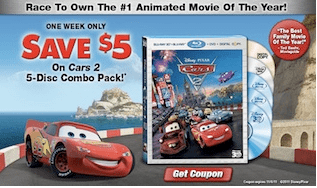 Buy 1 Elmer’s School Glue, Glue-All or Glue Sticks, Save 50¢. Expires 11/30/2011. One time use only. Buy 1 NO YOLKS, Save 40¢. Expires 11/30/2011. One time use only. Buy 1 Karo® Syrup, Save 40¢. Expires 11/30/2011. One time use only. 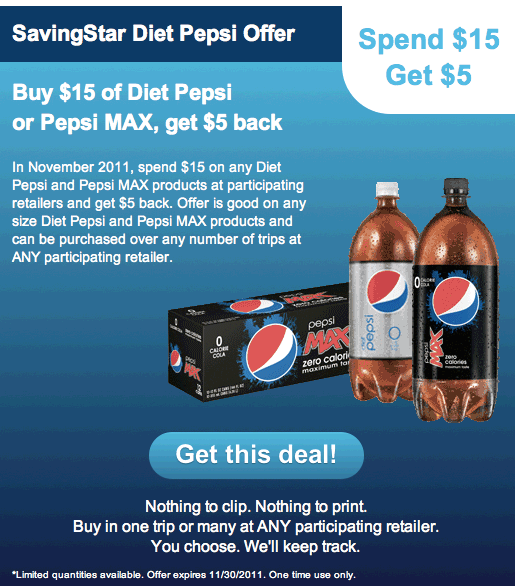 Buy 1 Argo® or Kingsford’s® product, Save 40¢. Expires 11/30/2011. One time use only. Buy 1 Fleischmann’s® Yeast (Jar or Strip), Save 40¢. Expires 11/30/2011. One time use only. Buy 1 Nature’s Bounty Hair, Skin and Nails, Save $2.50. Expires 11/24/2011. One time use only. Buy any 1 Nature’s Bounty (does not include Hair, Skin and Nails product), Save $1.00. Expires 11/24/2011. One time use only. Buy any 1 Sundown Naturals® product, Save $1.00. Expires 11/24/2011. One time use only. Buy 2 AIR WICK® Scented Candles, Save $2.00. Expires 11/23/2011. One time use only. Buy 1 Johnsonville Breakfast Sausage (9 oz or 12 oz), Save 55¢. Expires 11/23/2011. One time use only. Buy 1 GUM® Eez-Thru Flosser®, Save 75¢. Expires 11/23/2011. One time use only. 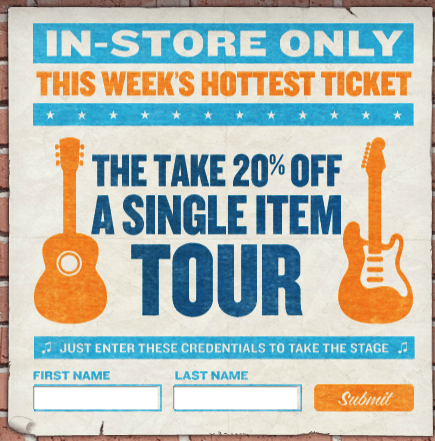 Buy 2 AIR WICK® Aerosol Air Fresheners, Save $1.00. Expires 11/23/2011. One time use only. Buy 1 AIR WICK® FRESHMATIC Compact Spray Starter Kit, Save $2.00. Expires 11/23/2011. One time use only. Buy (1) International Delight® quart or pint, Save 55¢. Expires 11/23/2011. One time use only. Buy 3 Rice-A-Roni or Pasta Roni, Save $1.00 (does not include Family Size, Value Size, or Easy Salad). Expires 11/16/2011. One time use only. Buy 1 Femystique® personal lubricant, Save $1.00. Expires 11/16/2011. One time use only. Buy 2 Quaker Chewy® Granola Bars, Save $1.00. Expires 11/16/2011. One time use only. Buy 2 Smart Balance® Buttery Spreads, Save $1.00. Expires 11/16/2011. One time use only. Buy 1 Smart Balance Omega® Cooking Oil or Spray, Save 75¢. Expires 11/16/2011. One time use only. Buy 1 Smart Balance® Rich Roast Peanut Butters, Save 75¢. Expires 11/16/2011. One time use only. Buy 2 Quaker® Instant Oatmeal, Quaker® Quick or Old Fashioned Oats, Save $1.00. Expires 11/16/2011. One time use only. Buy (1) Dean’s® Dip 12 oz or larger, Save 55¢. Expires 11/16/2011. One time use only. Buy 1 bag of El Monterey Snacks (Taquitos, Mini Chimis, Tamales, or Quesadillas), Save $1.00. Expires 11/16/2011. One time use only. Buy 2 El Monterey Family Pack Burritos or Chimichangas, Save $1.00. Expires 11/16/2011. One time use only. Buy 2 Ken’s Salad Dressings (16 oz only), Save $1.00. Expires 11/9/2011. One time use only. Buy 2 Sweet Baby Ray’s Barbecue Sauce, Save $1.00. Expires 11/9/2011. One time use only. Buy 2 packages of M&M’S® Brand Chocolate Candies (any flavor, 9.9 oz or larger), Save $1.00. Expires 11/9/2011. One time use only. Buy (1) McCain Purely Potatoes®, Save $1.00. Expires 11/4/2011. One time use only. Sold Out. Buy (1) McCain® Sweet Potato Fries, Save $1.00. Expires 11/4/2011. One time use only. Buy TWO (2) boxes of Ellio’s® Pizza, Save $1.00. Expires 11/2/2011. One time use only. Buy 1 Barilla Pasta AND Buy 1 Barilla Sauce, Save $1.00. Expires 11/2/2011. One time use only. Save $2.00 when you buy EIGHT CANS any flavor Progresso Soups.